Going to the gym, you want a bag that can handle being tossed around a bit. You don't want a bag that is all delicate and can't handle being squeezed with smelly gym clothes after your workout. Unfortunately not all gym bags are ready for some tough handling. The quality of the different brands and models vary quite a bit, so it really pays to spend some time looking at the different options to make sure you buy a quality bag. Having checked thousands of gym bag/workout bag reviews, we can say that the Lug Puddle Jumper is the best choice for most people. The Lug Puddle Jumper got a rating of 4.32 out of 5, while the average rating in the list below is just 4.07. This is the best reviewed gym bag/workout bag. We have checked 95,982 gym bag/workout bag reviews, so we can show you the weighted average rating of all the bags. If the Lug Puddle Jumper isn't your style, you might also consider the Nike Gym. The Gym is a close runner-up with a rating of 4.27 out of 5 - and it's usually cheaper than the Puddle Jumper. The second-best reviewed gym bag/workout bag. Finally, you might consider the Dakine Stashable. The Stashable is the third-best rated gym bag/workout bag with a rating of 4.26 - and it's usually cheaper than the Puddle Jumper. The third-best reviewed gym bag/workout bag. 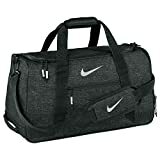 Below is the list of all top 23 best gym bags and workout bags. Great if none of the three bags above are your style. PS: We have checked 95,982 reviews to make this top 23 list! 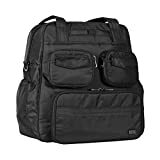 Classic gym bags and workout bags and models that haven't yet got enough reviews to be ranked. List ID 201. Images from Amazon Product Advertising API and shop datafeeds.